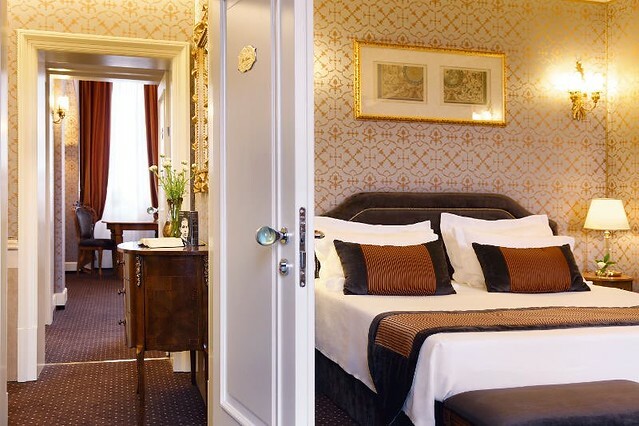 Located on the Riva degli Schiavoni, just a few steps from St. Mark’s Square and the Bridge of Sighs, Hotel Londra Palace opened in 1853 as the Hotel d’Angleterre & Pension, and later became the Londres. The hotel expanded with the construction and annexing of the Beau Rivage in 1865, and additional renovations of the facade and lobbies in the 1950's have given the Londra Palace an understated elegance both indoors and out. The hotel has hosted a number of important personages during its 150 year history, including Russian composer Tchaikovsky, who wrote the first three movements of his Symphony No. 4 - originally entitled ‘Do Leoni’ - during his stay in December of 1877. Italian author and poet Gabriele D’Annunzio was also a guest in 1887 for the unveiling of the monument honoring King Vittorio Emanuele II located in front of the hotel. Other important guests include writers Jorge Luis Borges and Iosif Brodskij. 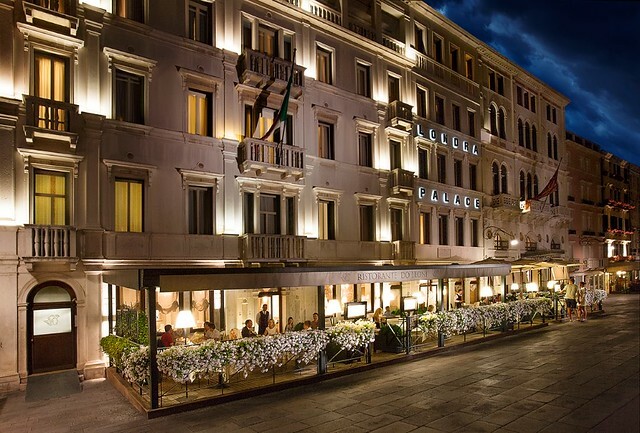 A member of Relais & Chateaux, this hotel has established itself as a stylish and comfortable respite for travelers who enjoy a certain level of luxury at a moderate (for Venice) budget level. Many of the 53 Biedermeier-style rooms offer views over St. Mark’s Basin and the Lagoon on one side, and the rooftops and bell towers of Venice on the other. 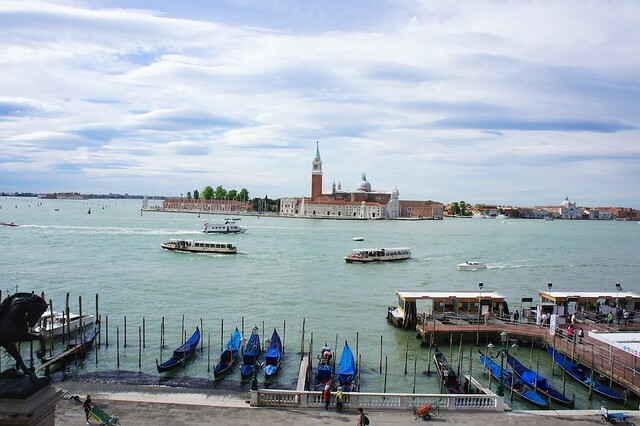 Londra Palace is within walking distance to all of the most famous sights of La Serenissima, and water taxis stop right outside the hotel to whisk you off to the smaller islands. The ground floor lobbies and salons are lined with large windows, so you can settle in for a drink while enjoying some people watching. 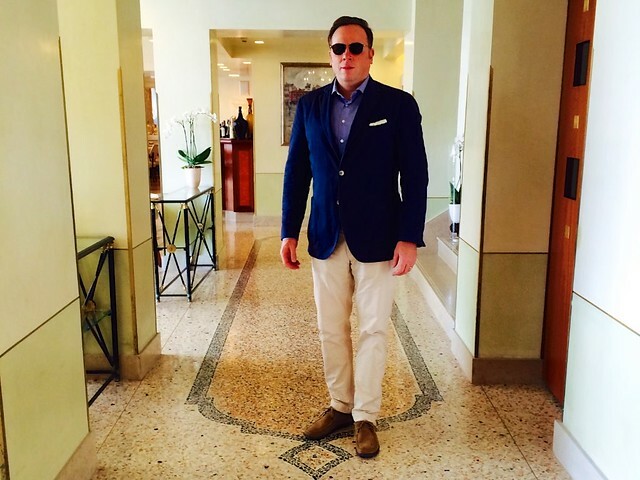 Otherwise, the hotel's veranda on the Riva degli Schiavoni is lovely for cocktails or a meal. The veranda is part of the hotel's Do Leoni restaurant, one of the most scenic in Venice, which serves a mix of traditional Venetian fare and contemporary dishes. This is a historic Venetian palazzo, so the rooms are all unique both in layout and view. All have Biedermeier furnishings and the walls are covered in Venetian-inspired fabric. Many rooms have views over the Grand Canal. 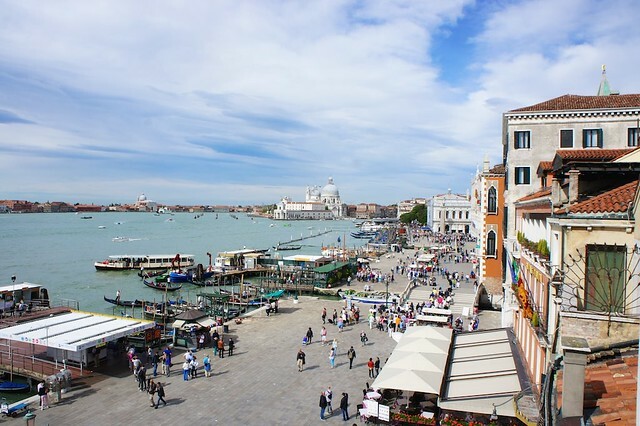 Your stay is enhanced by the helpful staff and amenities you expect from a luxury hotel at a price pleasantly affordable for Venice. 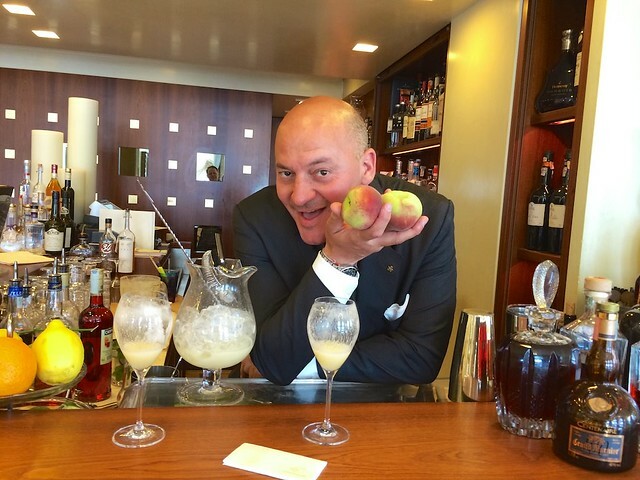 In addition to the Do Leoni restaurant, Londra Palace is home to the Londra cocktail bar, presided over by the personable (and award-winning) mixologist Marino Lucchetti, who makes the best Bellini in Venice. Using freshly pureéd white peach nectar (or, when peaches are out of season, strawberries or oranges) and crisp, dry Prosecco, this essential flavor of Venice is a reason to stop by the hotel even if you aren't staying there.